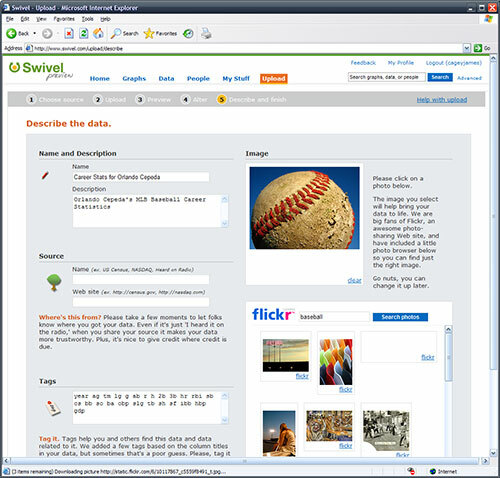 I’ve been checking out Swivel this morning and I have to say I’m excited. 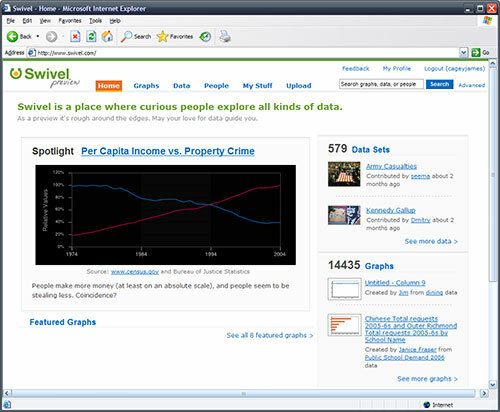 A friend described it best when he said it looks like a YouTube for data. Its so easy to add data and start using it. 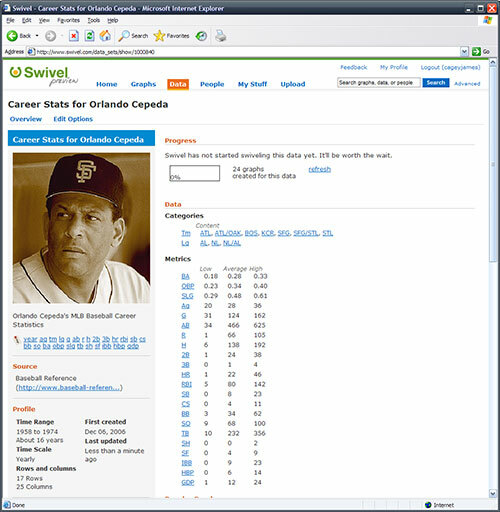 Step 1: I loaded the career stats for Orlando Cepeda. I used the web query tool in MS Excel to import the data into a Excel workbook and then saved the data out as a CSV to import into Swivel. 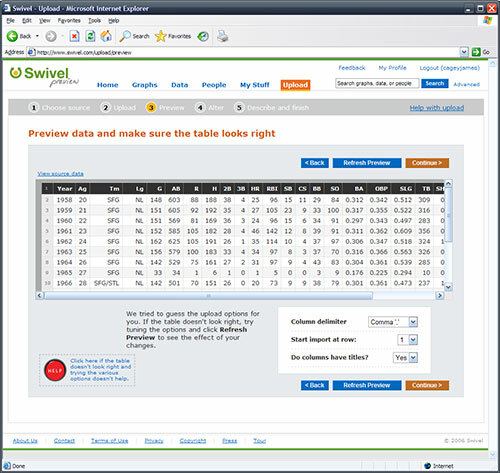 Step 2: You then can preview the data to make sure it imported in correctly. 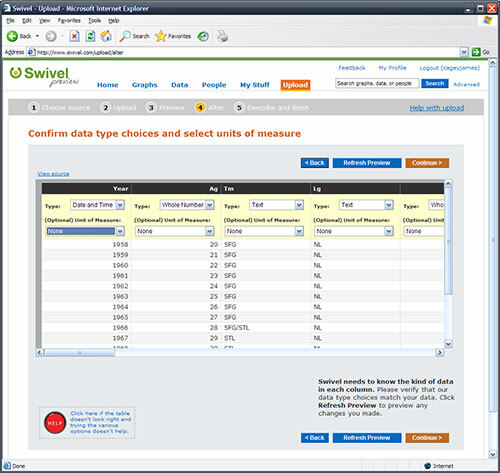 Step 3: You then can set the field types and unit of measure. 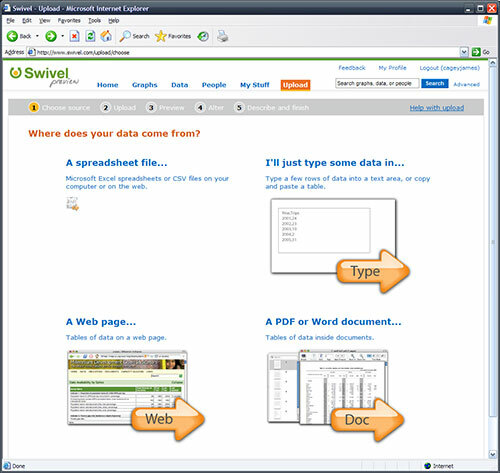 I’m as excited about Swivel as I was about Zillow. I can only imagine where this will lead as uploading and working with your data and data of others is just so simple. YouTube for data is right.